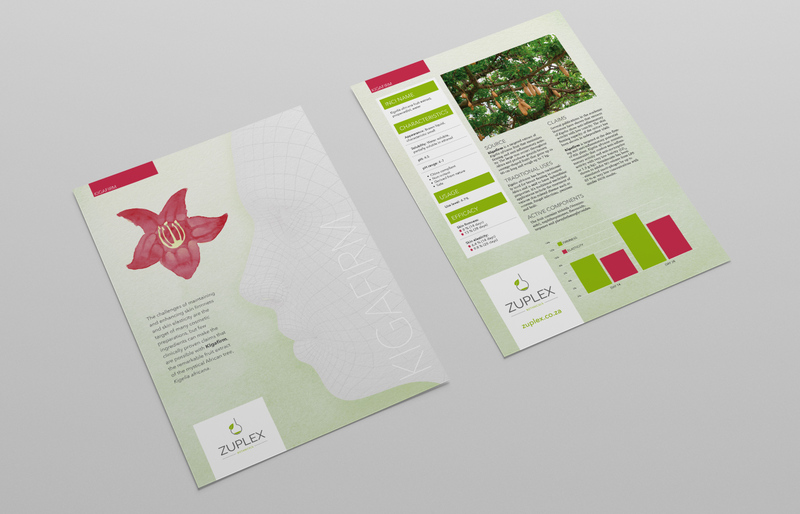 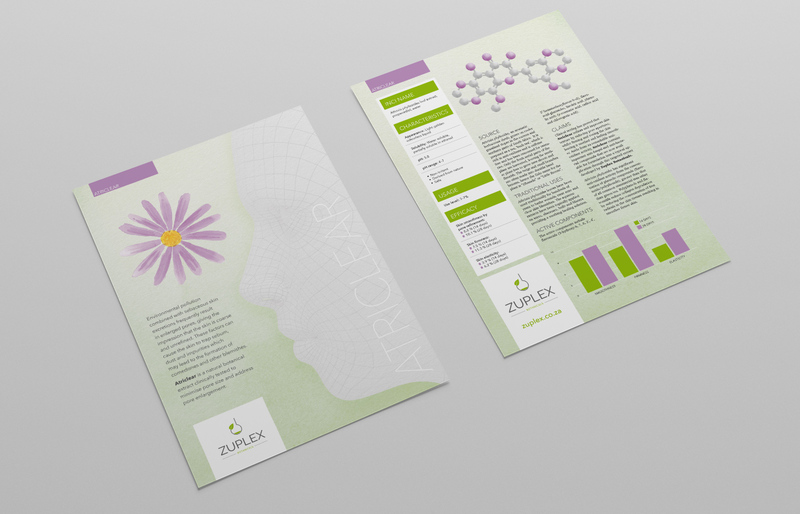 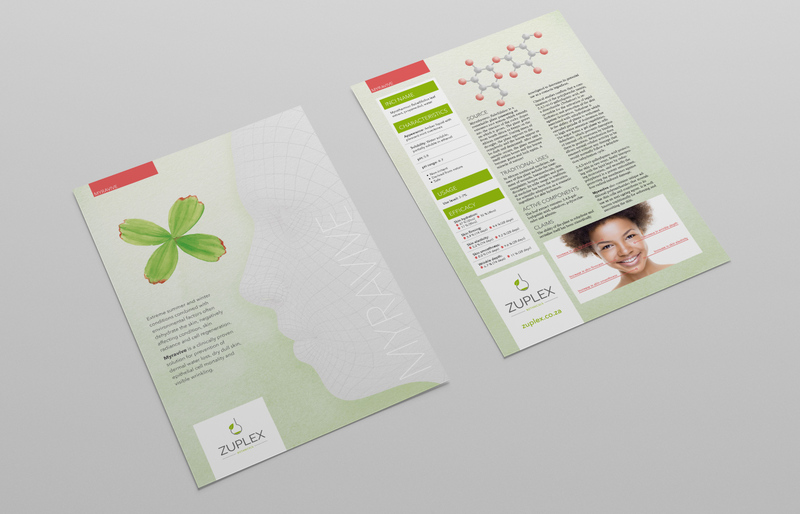 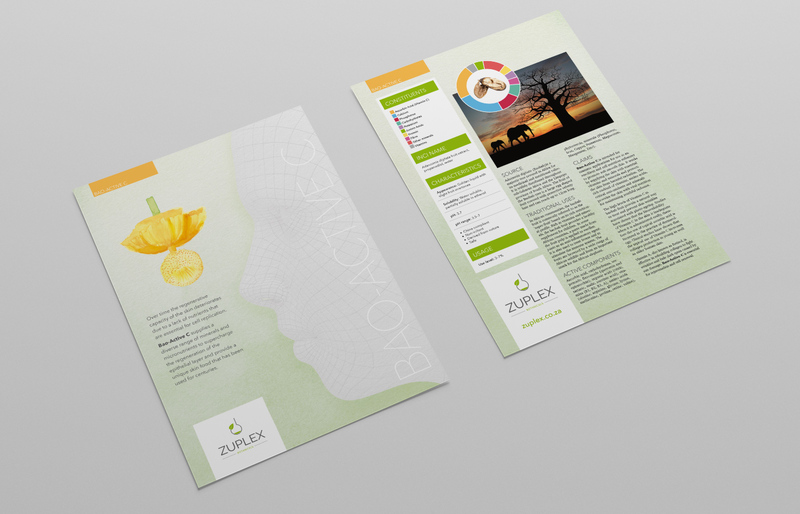 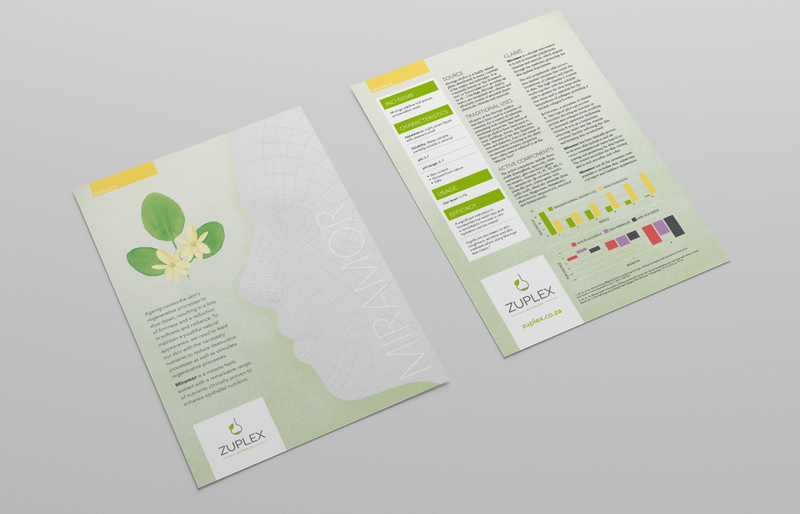 Zuplex manufactures botanical extracts for the skin care industry. 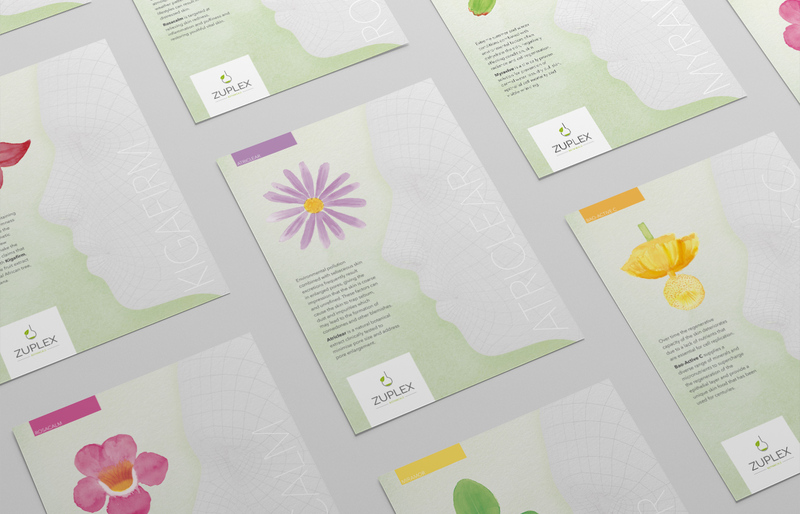 Each product has a hand-painted element we did in-house. 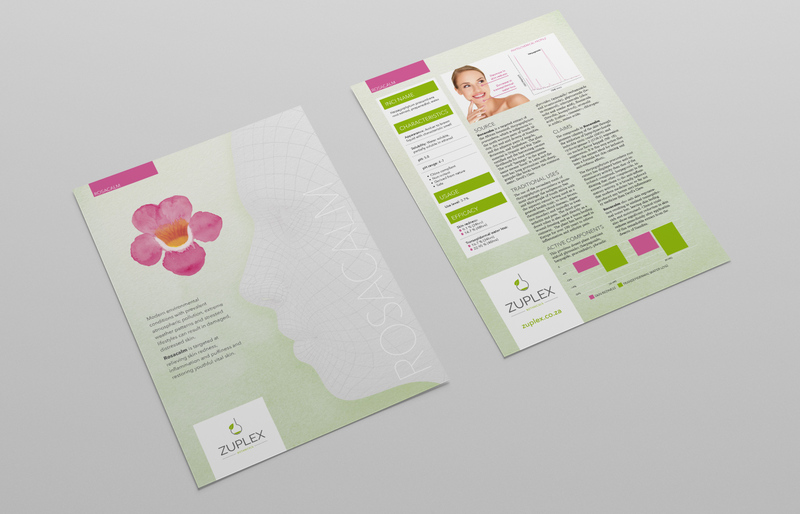 The face wireframe was also created and rendered in-house.